Jerry Burchfield began experimenting with color photography in the early 1970s by making photograms with standard chromogenic paper and exploring the possible applications of color and light in camera-less images. Following his first solo exhibition at the Laguna Art Museum in 1974, Burchfield took his work in new directions by creating photograms with different printing materials, such as those designed for silver dye bleach prints, at the time branded as Cibachrome. 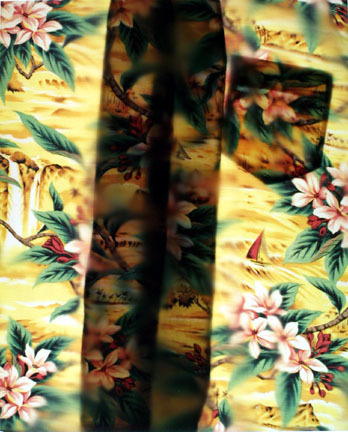 In the series Pic a Shirt, he made use of Cibachrome's saturated color to vividly capture the semi-translucent, patterned forms of brightly colored men's shirts, which were registered directly on the photographic paper. 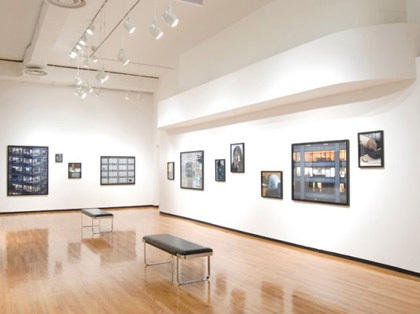 Throughout the 1970s, he continued to explore alternative uses of color photography using different techniques, incorporating multiple exposures, using various procedures to make photographs without a camera, and making physical alterations to the prints. Buchfield's initial explorations of color photography came at a time when the aesthetic legitimacy of these processes was still up for debate. Photographers have been using various color processes for more than a century, and color film went on the market in the mid-1930s, but it was only in the 1970s later that color photography came to be accepted as an art form. Up to that point color was strongly associated with advertising, photojournalism, and amateurs. The myth persisted that only black and white images achieved the qualities of art. Color photography's apparent coming of age was partly a matter of being christened by influential museum curators like John Szarkowski, who organized a pivotal exhibition of William Eggleston's color photographs at the Museum of Modern Art in 1976. Nevertheless, the creative work of Burchfield's generation, and particularly well-known figures like Eggleston, Joel Meyerowitz, and Stephen Shore, paved the way for the later predominance of color photographs in museums and galleries. In the decades that followed, Burchfield has pursued a number of long-term projects that use different forms of photography, as well as performance, video, or a large-scale installation format, to examine processes of change and subjects like humankind's precarious relationship with nature. Burchfield was born in Chicago, Illinois. He pursued his education at California State University at Fullerton and ultimately completed a BA (1971), an MA (1977) and an MFA (1990). Currently Burchfield was a professor of photography at Cypress College in Cypress, California and the Director and Curator of the Cypress College Photography Galleries. He was the president of the non-profit foundation, The Legacy Project, and the Co-Director of Laguna Wilderness Press.